If you have moved from London to Zurich, from Paris to Geneva, or from Brussels to Bern, then you now live in a much less stressful place according to a city stress ranking done by Zipjet, a home delivered laundry service. 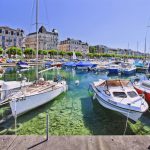 If you have moved to Lausanne or Basel, you’ll have to endure the stress of the uncertainty of not knowing whether your new environment is more or less stressful, as these Swiss cities were not included in the ranking. The analysis considers environmental stress-inducing and -alleviating factors such as traffic, pollution, population density, public transport, green spaces, security, and sunshine hours. Pollution is broken down into air, noise and light pollution. In addition, the ranking looks at financial drivers of stress: debt levels, purchasing power, social security and unemployment. Finally, personal and social aspects are considered, including mental health, physical health, and gender and race equality. Composite scores range from 1 to 10, 10 being the most stressful, a score reserved for Bagdad, the most stressful of the 150 cities covered. The leading Swiss city was Bern, which came in 4th with a score of 1.29. Next was Zurich (11th) with a score of 1.73, and much further down was Geneva, managing only 38th, and a score of 3.29. Overall, these three Swiss metropolises were well ahead of Europe’s main cities in terms of low stress. London (70th), Paris (78th), Berlin (47th), Madrid (57th) and Rome (89th) were all well behind. Brussels (120th) fared particularly poorly, suffering from high unemployment, poor social security, low sunshine hours and poor mental health. London, Paris and Rome all scored poorly on traffic and sense of security. London also suffers from a lack of sunshine, while Rome and Paris have high levels of unemployment. Rome also suffers from high debt and gender discrimination. Moving back to Switzerland, Bern scored highly on green spaces, public transport, traffic, sense of security, family purchasing power and gender equality. It’s only weak points were noise and light pollution, and a lack of sunshine, although it is well ahead of London on sunshine. Zurich is similar to Bern. 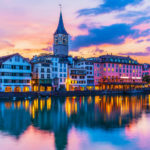 The only notable differences between the two are population density and traffic, both higher in Zurich, and air pollution and unemployment, both higher in Bern. Lower-ranked Geneva (38th) scored relatively poorly on population density, public transport and unemployment when compared to its German-speaking counterparts. The only measures where Geneva scored comparatively better than both Bern or Zurich are sunshine hours and noise pollution.On air pollution, Geneva was ahead of Bern and ever so slightly behind Zurich. On traffic Geneva sits between Bern, with little traffic, and Zurich, with the worst level of stress-inducing traffic out of the three. By contrast, a study by the satellite navigation company TomTom, published earlier this year placed Geneva ahead of Zurich on traffic congestion. In Geneva an average 146 hours was lost to traffic in 2016, compared to an average 127 hours in Zurich.